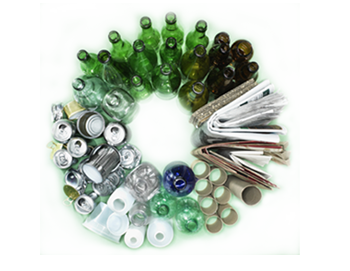 In the recycling process, used materials are re-utilized for making new products. It is a key component of waste management. We are dedicated to protecting the environment and preserving essential resources. We recycle used products in our state-of-the-art facility. We recycle waste from residential areas, commercial areas and industries. We recycle waste of various types such as old glass bottles, used aluminium cans, old books and notebooks, steel or aluminium decorative items, plastic bags and others. We recycle and help in making our planet a better place.